April has arrived and many homeowners will be starting their spring cleaning around the house. While cleaning inside your home can be very important, people often neglect the exterior. This spring, consider hiring a professional pressure washer for your home’s siding, porch, patio, and entire exterior. Here are 4 advantages of hiring a pressure washing service. Neglecting to schedule a pressure washing service can leave your home susceptible to harmful bacteria and mold growth. Not only can it be dangerous to your health, but mold or mildew growing on the outside of your home is also an eyesore! 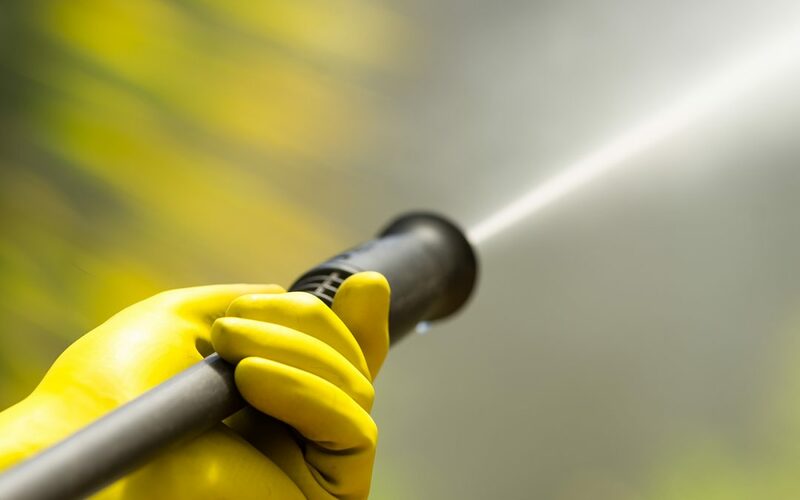 Hiring a pressure washing service is the best way to clean your home’s exterior and protect your structure and your family from environmental hazards. A well-maintained, clean home will pay off over time. If you are planning to sell your home, a thorough cleaning could help it sell faster for more money. You will also discover that people will have much more interest in purchasing your home if it is pristine. One of the best prevention methods for future repairs on your home is preventative maintenance. Just like your car, if you are proactive in keeping your home maintained, you are less likely to need a costly fix-up later. Hiring a pressure washing service will keep you safe from the potential dangers of operating a pressure washer. High-pressured water can lead to serious accidents, so consulting an expert technician with the proper knowledge and skills to operate the equipment is a wise choice. In addition, if you have very limited experience using a pressure washer, a professional will most likely deliver a more efficient and thorough cleaning job. Your home is one of the biggest investments you will make. Why not make it a place you want to show off to everyone? Invite friends over with confidence, knowing that your home looks great. Spring is a great time for hiring a pressure washing service since family and friends will be spending more time outdoors. This spring, let your house shine by hiring a pressure washing service for increased curb appeal and mold prevention. You will be glad you left it to the pros instead of attempting it on your own and possibly getting injured or damaging your property. JS Consulting Group provides inspections for residential and commercial properties in Southern California. We serve Los Angeles, Riverside, San Bernardino, and Orange counties with inspection and consulting services. Contact us to discuss what we can do for you!